We're pleased to announce three Gold Premium Shop bundles available for purchase using Karma Koin. Gold can be used to purchase a variety of Premium goods, and can help facilitate progress if you plan on tackling the latest On Track. These packages are offered at various levels of discounts, and each comes bundled with extra Gold! 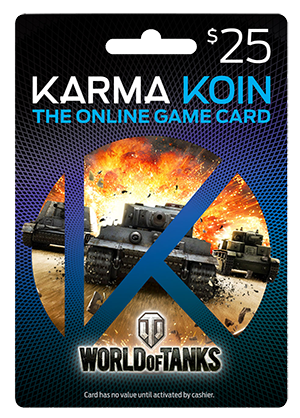 But that's not all, if you make at least one purchase with the new limited-edition Wargaming-themed Karma Coin card found at Offgamers.com, you'll also receive three (3) days of Premium when the Karma Koin bundles expire on July 30 at 06:59 ET. Don't let this special slip by, pick up your bundle while you can!